Accessories: Linen twine, medium jewelry tag punch, mini-paper clip, satin ribbon, staples. Stamps: Lots of Bots, Totally Trees? 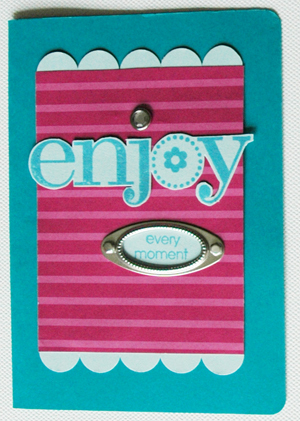 Accessories: Stampin’ Pastels, silver embossing powder, scallop edge punch, scallop square punch. 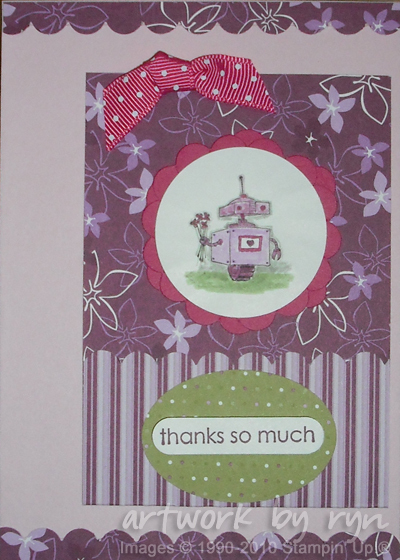 Thanks for the challenge Carol – this card happened very effortlessly! 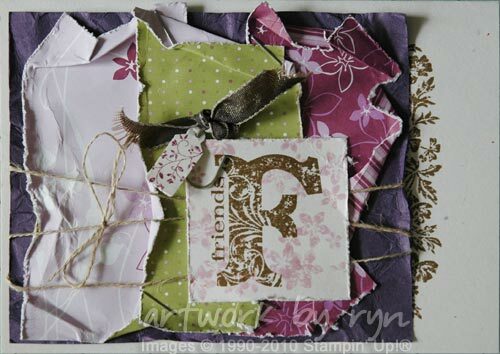 Carstock: Night of Navy, Wild Wasabi, Orchid Opulence and Watercolour paper. Ink: White Craft, Orchid Opulence, Night of Navy, Wild Wasabi, Sahara Sand.